Home → Shop → Scooters → Ultra Gloss Bike Wipes 30 – 7″x 7″ wipes. Clean your bike with 1 wipe. Ultra Gloss Bike Wipes 30 – 7″x 7″ wipes. Clean your bike with 1 wipe. Cleans and Shines at the same time. Quick-clean & shine in a wipe. Non-abrasive and safe on all surfaces. Wipe on, let it dry, then wipe away for shine. Take them with you on the road for a quick shine anywhere, any time! This product is 100% Guaranteed to satisfy. If you are not happy with the results send the product back for a full refund. No reason not to try it out! Click here for details. Ultra Gloss Bike Wipes can be used to clean off dust, dirt, bugs, or to just be used as a quick detailer. They are easy to use, quick and safe! 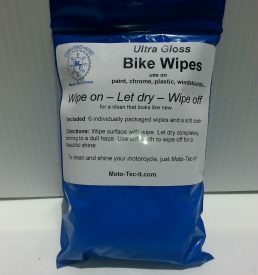 Ultra Gloss Bike Wipes contain a unique formula of synthetic polymers designed as a fast and easy way to keep your vehicle in show room condition. 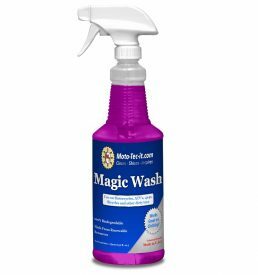 This non-abrasive, non-detergent formula will renew and extend the life of your polish/finish. Ultra Gloss Bike Wipes leave an amazing gloss while providing a protective finish on paint, glass, chrome, plastic, Plexiglas, vinyl, leather and other surfaces. 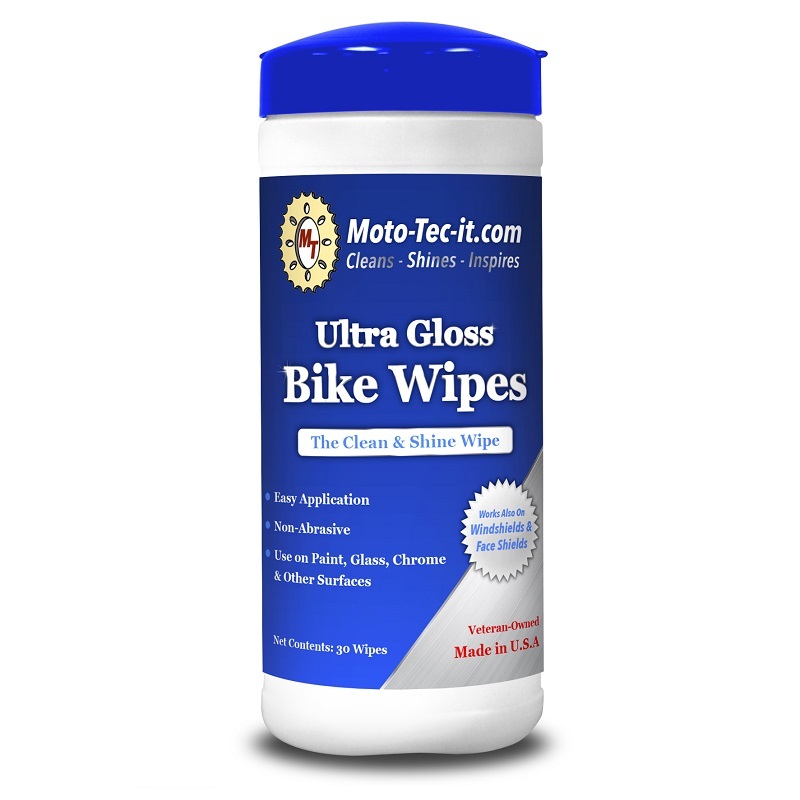 Use the Ultra Gloss Bike Wipes on all your glass, paint and mirrors. 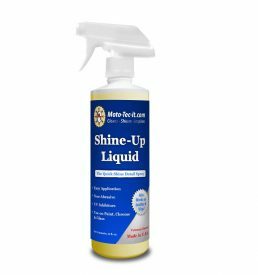 Watch the demo video to see how this product works on all of these surfaces. Windows: These wipes are absolutely the best way to clean the inside of your automobile windows. Use the wipes to scrub all the interior windows and let the product dry to a white haze. Once dry, use a soft towel to easily wipe away the haze to reveal a perfectly clean and streak-free surface. With this product it is impossible to streak the windows. Let it dry and wipe away!! !